The Wisconsin governor tests an outsider message in his speech to Republican influentials. CORONADO, Calif.—Scott Walker isn't yet a declared candidate for president, but he's already testing a campaign slogan: "Wisconsin, Wisconsin, Wisconsin." In a 35-minute speech here at the Republican National Committee's winter meeting, the governor mentioned the name of his home state no fewer than two dozen times—and referenced "our state" or "my state" on at least 30 other occasions. It all fed into the contrast Walker is eager to strike. 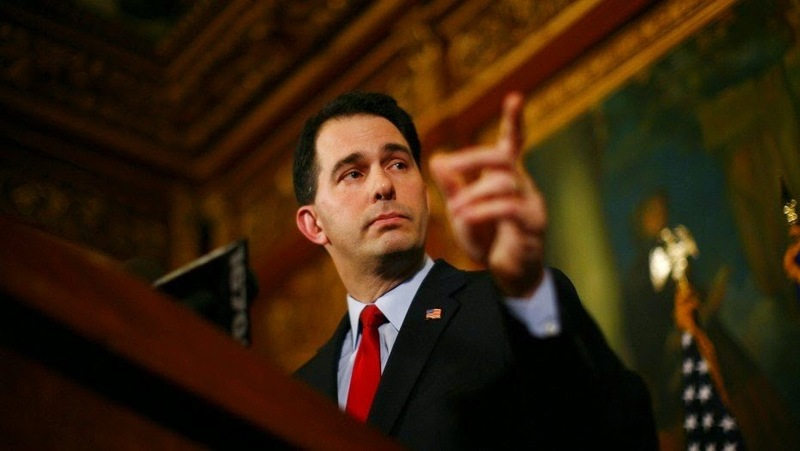 While President Obama's Washington, Walker says, is spending big, expanding the federal bureaucracy, and taking a "top-down" attitude to governance, Wisconsin has cut costs, shrunk the size of government, and adopted a "bottom-up" approach. Walker's speech left little doubt that he will run for president in 2016. And it foreshadowed a messaging strategy that will portray his record in Wisconsin—sweeping conservative reforms validated by three electoral victories in four years—as a model for the Republican Party, and for the nation. "I'm worried about my country just like I was worried about my state back in 2009," Walker said, recalling his decision to seek the governorship and his plans to get the state back on the right track.